Baker Appliance & Refrigeration Service located in Yorktown, VA. No matter who makes it, we can fix or service it. In most cases, we offer same day services. We are licensed, insured & bonded and we are family & locally owned. Baker Appliance & Refrigeration Service is available for commercial, industrial & residential customers. SPECIALTIES: air conditioners, dishwashers, heaters, heat pumps, furnaces, gas appliances, ovens. 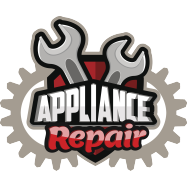 We also offer service and repair for: System replacements, refrigerators & dryers, freezers, wine coolers and much more. All work is fully guaranteed and financing is available. Call today for our factory trained technicians.